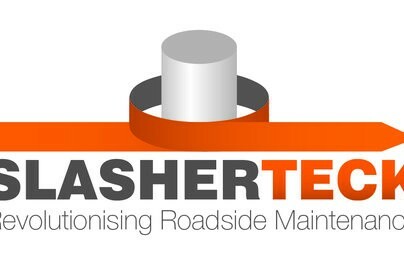 Slasherteck is an Australian company that is focused on Revolutionising Roadside Maintenance. All of our machines have been designed to provide solutions to the problems that have plagued the efficiency of roadside maintenance for many years. Slasherteck is a NSW based operation, with a National and International focus. All of our machinery designed and manufactured in Australia. Slasherteck specialises in equipment to manage the slashing of grass and vegetation along roadsides. One of the key issues with traditional methods is the number of posts and guard rails where the vegetation cannot easily be removed. This has resulted in thousands of litres of chemical spray being used along the roadside every year. Slasherteck equipment has been designed to cut around posts and guard rails mechanically. Slasherteck world-class machinery has been designed specifically for use along roadsides and has been customised with the operator’s safety and comfort in mind. Slasher Operations and Asset Management System (SOAMS) is a patented GPS based operations and asset management system that has been designed to accumulate valuable data from each maintenance run. SOAMS uses a combination of the machinery location, point of engagement, some additional hardware and a custom built cloud based app to provide a work-as-executed profile and asset location, type and condition data set. Other features include the ability to check works (via the onboard camera) as they are completed, simplify administration & time keeping and accumulate effeciency metrics in the background while the work is being completed. Slasherteck’s traffic management drones introduces a world-first in the industry – a completely Automated and Autonomous Solution to Traffic Management. The autonomous technology dramatically reduces the risk of worker injury from collisions while along roadsides and the remote control allows navigation of the vehicles in high-risk environments. The LED signage is completely digital and can display signage on the front and the back of the drone vehicle. This signage is solar powered and topped up from the electric vehicle’s mains when required. The RoboCollect machinery has been designed to address the problem of roadside rubbish along long stretches of road. This unit overcomes current efficiency and WHS issues by providing a solution that is operated by a single operator from the safety of the tractor cabin. The machinery, fitted to a High Ground Clearance Tractor includes two robotic arms, a transfer conveyor belt and a detachable rubbish compactor. Compactors can be attached and detached at set intervals along the roadside to ensure a continual operation.